Our organic walnuts are back! We’ve harvested our 2017 organic walnut crop and they'll soon be ready for all cooks, foodies and nut lovers everywhere. These tasty little nuts were the headline act on BBC Countryfile last year and now they are ready for an encore – we’re delighted to offer you the most delicious organic treat Somerset has to offer this Autumn…. Did you know? 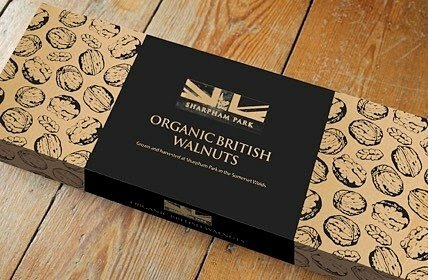 Walnuts were originally planted by the Abbots of Glastonbury and have always been part of Sharpham Park's farming economy and history. 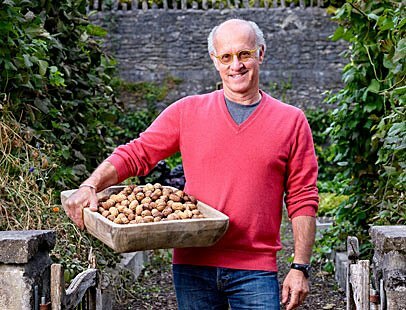 Twelve years ago, Roger Saul, the founder of Sharpham Park planted 300 walnut trees on his organic estate; little did he know that they would produce such a bountiful harvest! This year’s walnut crop is beautifully boxed and once inside you’ll discover Roger’s story, plus a multitude of weird and wonderful facts that will keep you entertained as you nibble your nuts. These are a must-have Christmas gift - order yours now! !